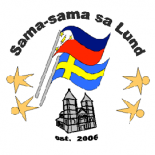 As part of Sama-sama Sa Lund’s Swedish-Filipino Integration Project for 2016, we are holding a monthly “kulturmötet” that is open to everyone, free of charge. For the first event, our focus is on the upcoming Philppine Elections in May 2016. We will first talk about the electoral system, as well as information about the campaign and platform of the candidates (president, vice president, and senatorial levels), followed by a short presentation about the Swedish electoral system, and then an open discussion with the audience. This forum has multiple goals: to inform the general audience about the current state of the Philippine election campaign; to encourage Filipinos who will vote in May to make an informed choice by knowing more about the different candidates; and also, for those who are interested (e.g., with dual citizenship) to be more knowledgable on the differences between the Swedish and Philippine electoral systems. Even for those of us who have already moved abroad, Philippine politics will still have an impact on our lives through our loved ones back home, which is why we should be updated and informed! This entry was posted on March 10, 2016 by Sama-sama Sa Lund in Events, Integration, Panel Discussion.